Combining various advancements in technology and the shift in behavioral patterns of the internet users, app business has evolved to become one of the most successful stories of this decade. With more than billions of apps available on app stores such as Google Play and Apple stores, mobile users have realized the need and value of apps in their day to day lives. Rather than visiting the website conventionally (through a compatible web browser), mobile apps allow a user to interact with digital content by pulling relevant data from the internet. Though all apps are not as good as they claim to be, it is undisputed that apps are convenient to use, easily updated and have better user experience UX than their ancestor websites. What is triggering this shift in consumer behavior? In the US alone, more than 50 percent of users have access to smartphones and other mobile devices. New interactive operative systems and exponentially better device capabilities have encouraged the users to access and use multimedia content through mobile apps. In particular, gaming apps and social networking apps have gained tremendous popularity in developed countries like the United States of America and the United Kingdom. 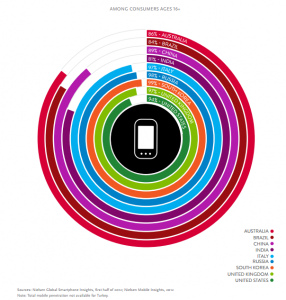 Findings of Nielsen reveal the distribution of mobile phones on all age groups. Mobile apps are popular worldwide. E-commerce is one of the major catalysts that boost the utility value of mobile apps. Whether you want to book your flight ticket or want to see your bank statement, there’s a suitable mobile app that works fine for your case. Unlike the web version, mobile apps provide better user experience is great and also ensures that the transactions are more secure and seamless. Also, these apps provide distinguished features such as showing product reviews, comparing price, etc. As a matter of fact, the number of app downloads truly reveal the amplification mobile apps have received in the past few years. 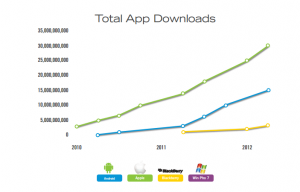 A survey by DynaTrace.com plotted the rising demand for apps. Why is the mobile app so important for businesses? Now that Orthodox business patterns have been declared outdated, innovation is the buzzword. Business houses will have to come out of their time old shells and adapt themselves to become modern, relevant so as to sustain in this airtight competition zone the industry has become. Mobile apps offer better ROI for retailers and brands. In particular, the ROI on ad spend is remarkably better than any other channel. As Gartner predicted in his seminal findings, the mobile app market is and will continue to generate better revenues in time to come. 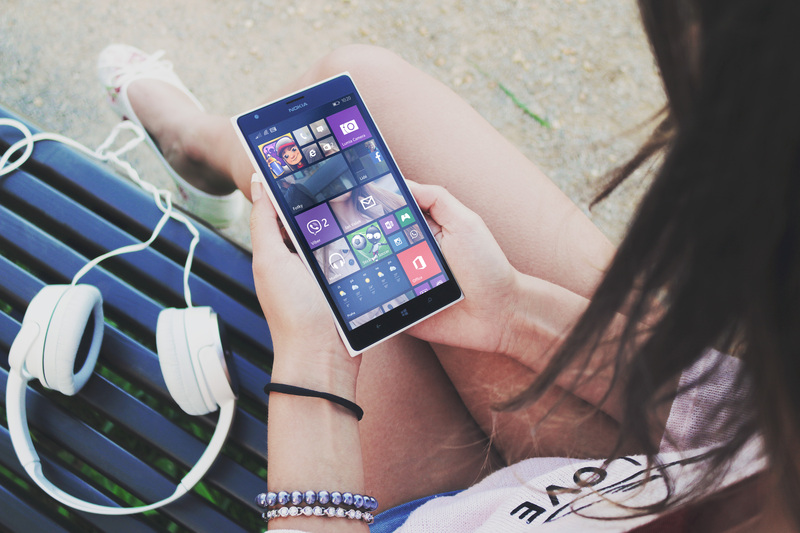 How to monetize your mobile apps? “If you fail to plan, you plan to fail.” Chalk out a realistic plan of action that suits your business expectations. Check the audience segment you are more likely to target and research on the demographics to know your target audience and market conditions before initiating your campaign. The freemium model is a popular way of attracting an audience base. In this, you allow the app download to be free, and then showcase the premium features and functionalities that will be available once the user upgrades his account to a paid version. It is helpful in the sense that your mobile app captures customer’s attention and then looks for avenues to monetize. Commonly used methods to increase the revenue through this model is by in-app purchases, mobile advertising and subscription, etc. As mentioned, mobile apps rely on mobile advertising since the click-through-rates are higher and so the overall ROI increases. It is, however, crucial to have a suitable monetization partner who can offer you Deep data sets enabling predictive mobile ad targeting for the highest ROI. While relevant ads aid in making your monetization campaign successful, overdoing this is risky. Make sure that the advertisements are not just attractive and relevant, they also have suitability for your customers. Also, ads should not hamper the app’s overall user experience, like you cannot have an ad pop up that hinders the use of basic features on your mobile app. Employing optimized resources that are backed with strong analytics data can help your strategy run smoother to produce quicker results and a higher return on your investment. Since mobile monetization is still evolving, there is a lot of room for innovation and experimentation to take place. You can consider staying connected with suitable consultants and advisors who have demonstrated their abilities in mobile app technology or related field. With this level of preparation, it is not just possible but also probable that your mobile app gets transformed into a reliable and efficient revenue generator.